TVME is celebrating our 10th Anniversary!!! Back in 2005 Ray Cargould and myself, Cy Rathbun, would run into each other at a small coffee shop called Mad Mike’s on Jefferson Ave. in Temecula. Ray drove down from De Luz to buy his wife a cup of coffee and then take it back home. He was such a cool guy. 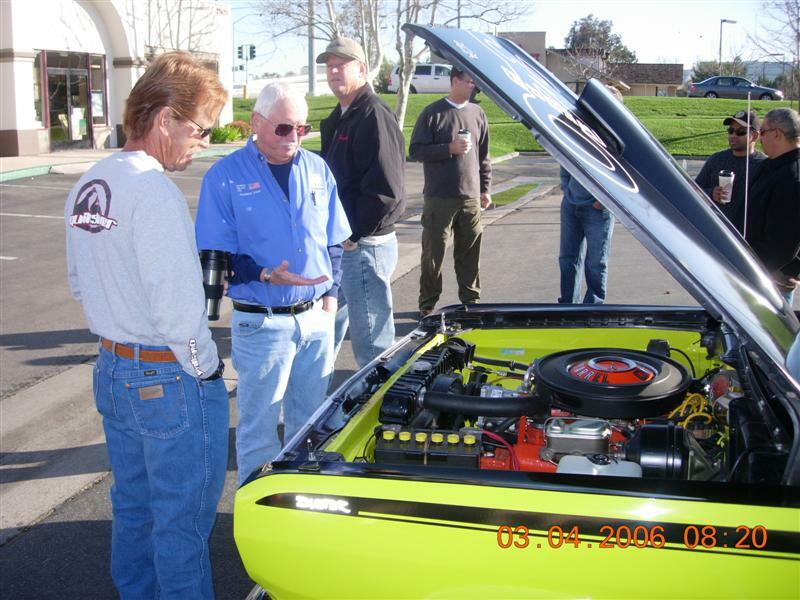 Ray was a vintage sports car tech inspector and knew a lot about race cars. 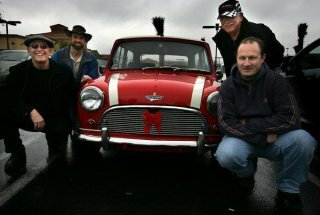 I drove a 2002 Mini Cooper I had modified for SEMA and hence we connected. We were also the same age and knew old British cars I had owned 8 over the years. Anyway, as we got to know each other we spoke about holding some kind of car event here in the Valley. Our conversation lasted at least six months until in January of 2006 we committed to do something. Ray and I picked the first Saturday of every month and set March 4th to start. Ray knew Scott Shaw and said we need him to help get people to come. I meet Scott and Justin Ballou for the first time on March 4th, 2006 and that was the beginning of what has now been a 10 year history. After Ray Cargould’s passing in Nov. of 2010, long time attendee Marc Schweighofer offered to join our team. As time went by Mad Mike’s closed and TVME was forced to moved to our current gathering spot in 2008. When TVME started, we had 12 cars and thought wow! What a success! But with time and a new location it has exponentially grown. We now have many loyal friends who have been attending the meets for years. We love the idea of talking about cars and asking what is this or that and just being automotive enthusiasts. TVME gets a huge variety of cars and motorcycles; anything is welcome that has some type of motor, even electric. TVME allows anything that has the possibility of leaking oil except an RV. Jokingly, we have even made exceptions for those. We have enjoyed the many restaurants in the parking area where we meet. Those restaurants thank us for bringing business on Saturday mornings, so I guess we are good for the Temecula economy. We like cars yes but we do not like noise or the loudness that can happen. So we police ourselves and post signs as a reminder that no bad behavior, no exhibition of speed are allowed. If someone does that we get in touch with them and ask they do not come back. After all, this is a place for talking about what we like and do not want to upset anyone. Throughout the year we have drives to car museums and related events that go on in So Cal. Often driving as a group and enjoying our friends and our cars. I hope we can write about this again in another 10 years.